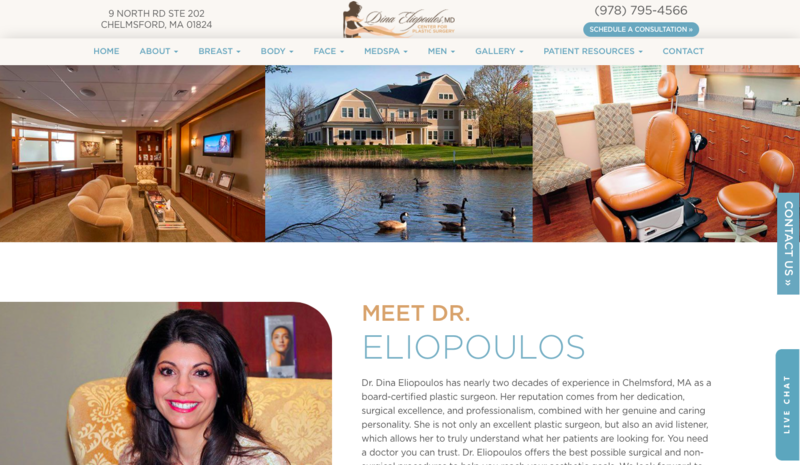 Dr. Eliopoulus, a Massachusetts-based board-certified plastic surgeon, sought a modernized, beautiful and tasteful website that would balance the need for cutting edge technology with her home town of Chelmsford's local sensibility. Located in a historic building, a touch of class and antiquity accenting the modern look of the website made sense along with a professional photo shoot showcasing the beautiful space. While her SEO and online rankings through her former online marketing team were fairly good locally, she wanted to improve on-site conversion to get more patient inquiries from the same volume of visitors and improve her rankings in the surround areas. Over the course of the first year after creating and launching the new website overseen by SEOversite Lite Plus, organic unique visitor counts have more than doubled, conversion rate has more than tripled and monthly conversion rates (how many visitors to the site call or email) has exceeded 16% vs. a typical in-industry average of around 5%. Revenue has grown dramatically as well and the sky is the limit for the future of Dr. Eliopoulos' growing practice. Before the redesign of the website, while not terrible, as seen here in this "before" photo, it felt dated, there was a lack of calls to action/contact forms, limited showcasing of doctor accolades and expertise, and mediocre stock photography throughout. The practice's golden and brown logo colors were overused creating a cramped and dark feeling. SEOversite strategies help solve each of these challenges. 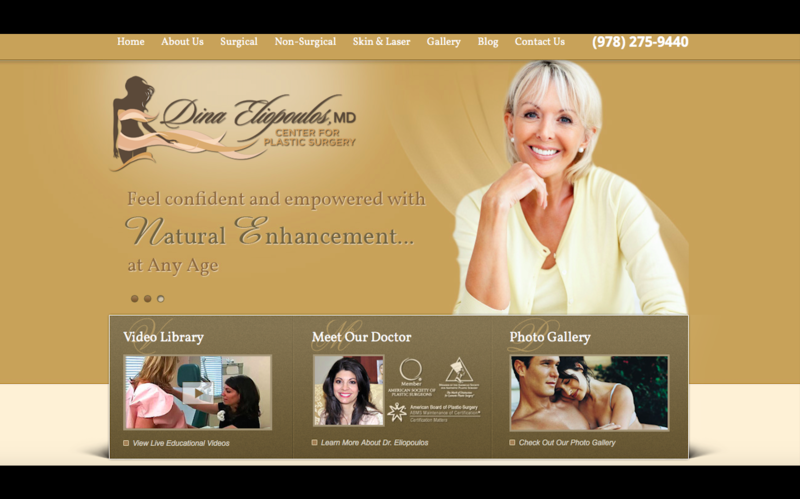 The current home page immediately showcases the doctor, that she is a woman treating women, her education and accolades, and does so with a more open, welcoming feel. Calls to action are throughout the home page, from live chat, to contact buttons, to phone numbers and more, but they are not intrusive. This is the synergy between massive content & sales goals, and UX/ UI excellence. 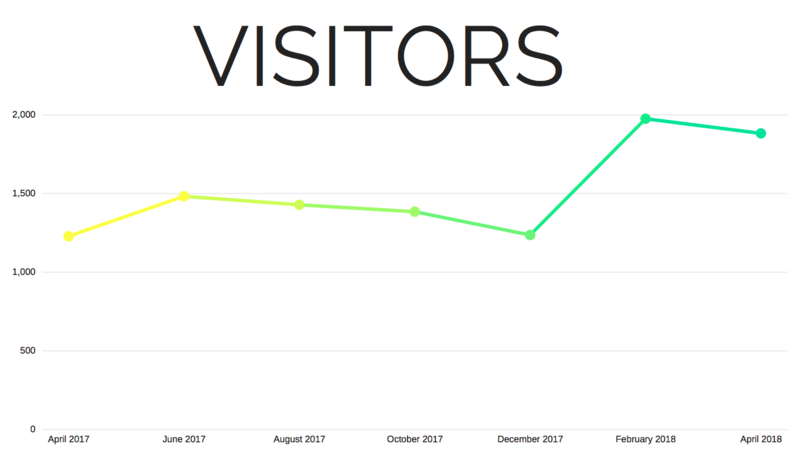 While this slide showcases early results after launching the website, and those results are impressive with visitor counts jumping from just over 1,000 to over 2,000 in just 4 months, visitor counts have continued to rise since. Check out our next slide and information to truly see the power of being overseen by SEOversite. In just 12 months from the date of launch, patient inquiry (conversions) volume went from 50 to over 100, which should translate to doubling online sales for just a few thousand dollars per month in investment. 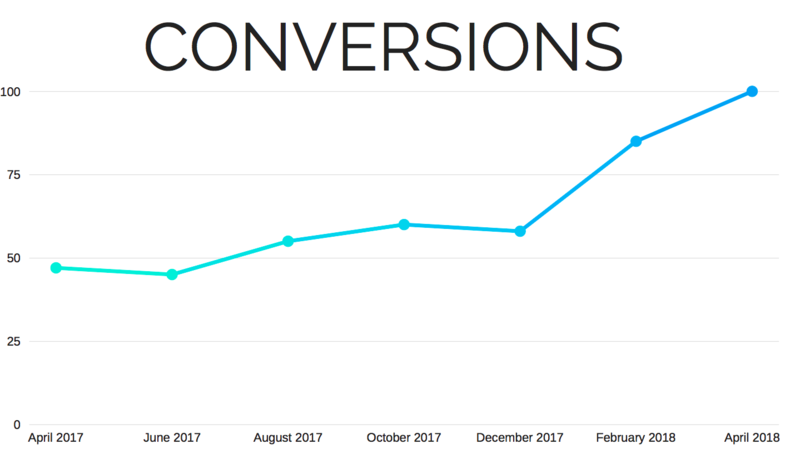 And while this data is from April of 2018, we write this update in August of 2018 and since then, conversions have reached over 300/month with no end in sight to potential growth. This is not the exception to the rule and our team is truly proud of the work we accomplish as our clients, like Dr. Eliopoulos have not only worked for 20 years to develop their brand and reputation, thus deserving the success and recognition, but they are also our friends and their success is personal to the SEOversite team.